In the late 1600’s in colonial Boston, the celebration of Christmas was against the law. Indeed, anyone evidencing the “spirit of Christmas” could be fined five shillings. In the early 1800’s, Christmas was better known as a season for rioting in the streets and civil unrest.1 However, in the mid-1800’s some interesting things changed the cultural response to the feast and, in 1870, Christmas was declared a federal holiday (which is to say that prior to 1870, Christmas was not a day-off in America). What happened? The second book, however, was, by far, the more influential: Charles Dickens’ A Christmas Carol. When Dickens is dubbed, “the man who invented Christmas,” it is not far from the truth. For the American cultural celebration of Christmas largely began through the popularity of Dickens’ classic story. That same fact, though, accounts for much of the non-religious aspects of America’s celebration. Dickens’ A Christmas Carol does not overlook the birth of Christ. It presumes the religious aspects of the day and its presence is woven throughout every part of the story-line. There is a brief mention of Bob Cratchett and his son, Tiny Tim, attending Church on the day. But it was not this part of the story that caught the popular imagination. All told, it was the “spirit” of Christmas that sold America on the importance of the day. Dickens wrote in the depths of the Victorian era. That period was marked, both in England and America, by a rise of romanticism, a popular sentimentality for “old things,” “traditions,” and “customs.” The century before had been dominated by the Enlightenment, when all things rational ruled the day. Indeed, it is not incorrect to see the sentimentality of the Victorian period as a reaction to the coldness of reason. It was a swinging of the cultural pendulum. America’s religious history has been a conflicted mix since the very beginning. The New England colonies (among the earliest) were settled largely by Puritans, dissenters from the Church of England, who wanted a radical reform of English Christianity. Unable to achieve their desires in England, they came to America and established their Churches here. They opposed Church festivals and frivolities of almost every sort. Their strict and dour form of Christianity waned and morphed over the decades, becoming a fairly moderate version of generalized Protestantism. The lower colonies (Virginia and to the South) were settled (officially) by Anglicans. However, migrations quickly populated those areas with dissenters, particularly the Scots-Irish who were largely Presbyterian with Baptists as well. Catholics were a tiny minority, restricted, for the most part, to Maryland. English Churches outside of the Catholic and Anglican were non-liturgical. The “feast” of Christmas was as absent as the “feast” of anything else. It was not part of their consciousness. Thus, the growth of a popular Christmas in the mid to late 19th century took place outside the walls of the Church. It became a cultural holiday, with an emphasis on family and the home. Surprisingly, Christmas is probably far more a part of Protestant Church life in America today than at any time in our history. But the echoes of cultural Christmas remain strong. When Christmas Day falls on a Sunday, Christianity in America revisits its conflicted past. It is not unusual to see Churches of a more Evangelical background cancelling Sunday services, deferring to Christmas as a “family” celebration. 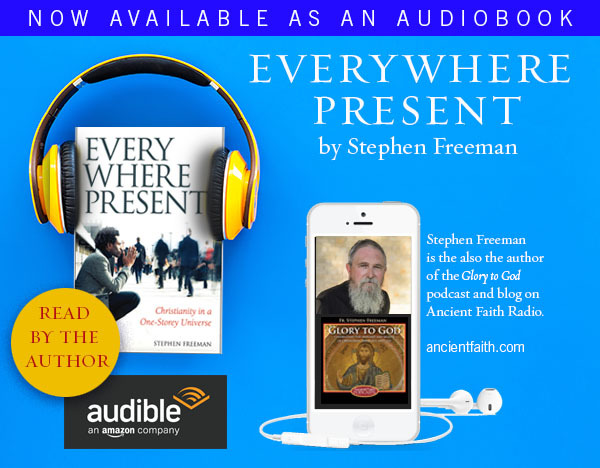 For liturgical Churches (Catholic, Orthodox, Anglican, Lutheran, etc.) such a practice seems scandalous in the extreme. I might note, however, that the “power” of Christmas as an event in our culture, is rooted in the culture rather than the Church. In the Orthodox Church, Christmas is but one of twelve major feast days. If those feast days fall anytime other than a Sunday, attendance at Church will be thin indeed. And though Christmas is one of the three greatest of the twelve (Pascha, Christmas, Theophany), only Christmas and Pascha (always on a Sunday) receive great attention in America. Those of us who feel a certain superiority in our Church’s celebration of the Christmas feast, would do well to reflect on our own neglect of the other feasts. This is not an article about what “should” be. Cultures are what they are and got that way by their peculiar history. If America were an Orthodox or Catholic country in its beginning, many of the other major feasts would likely be national holidays and their customs would be widespread. Such is the case elsewhere in the world. There are protests against the secular Christmas that say, “Put the Christ back in Christmas!” From a liturgical point of view I’ve wanted to add, “And put the Mass back in Christmas!” It is, after all, a feast of the Christian Church. Neither of these, however, will likely be dominant in a culture that once had little Christmas at all. Another suggestion I might make is to “put the Dickens back in Christmas.” I can think of no better homage to the man who “created” the modern celebration of the holiday than to read his delightful A Christmas Carol. If you do not want to read, the single most faithful movie presentation of the book is (to my mind) the version with Jim Carrey . Bob Cratchit was very surprised, and so were many people who found Scrooge so changed. Scrooge became a better person. To Tiny Tim, who did not die, he was a second father. Scrooge became as good a friend, as good a master, and as good a man, as the good old city knew, or any other good old city or town in the world could know. It was always said of Scrooge, that he knew how to keep Christmas well. May that be truly said of us, and all of us! Would that such business were as popular as the tinsel and trees. Thank you Charles Dickens, for having said it so well. For a short article on the history of Christmas in America see this article. Christ is Born! The Angels Sing! May I recommend the audiobook recording of A Christmas Carol, narrated by Jim Lane? My older children and I just listened to the first chapter a few moments ago and we enjoyed it so much! If you want to read but have housework/infants/toddlers/a long commute to work, audiobooks are the way to go! Father, there is a lesser known, but very accurate and well done version of a Christmas Carol with Patrick Stewart that aired on TNT in the late 90’s. It is a great version of the story, holding true to the spirit and text of the original. Those of us who feel a certain superiority in our Church’s celebration of the Christmas feast, would do well to reflect on our own neglect of the other feasts. I myself have yet to really wrap my mind, much less my life, around the feasts of the Church. I simply don’t know what each feast celebrates (although it is told to us every year) or why. Scrooge (1951) with Alistair Sim in the title role is also an excellent adaptation. Thank you Father for this short history of Christmas. Quite fascinating. 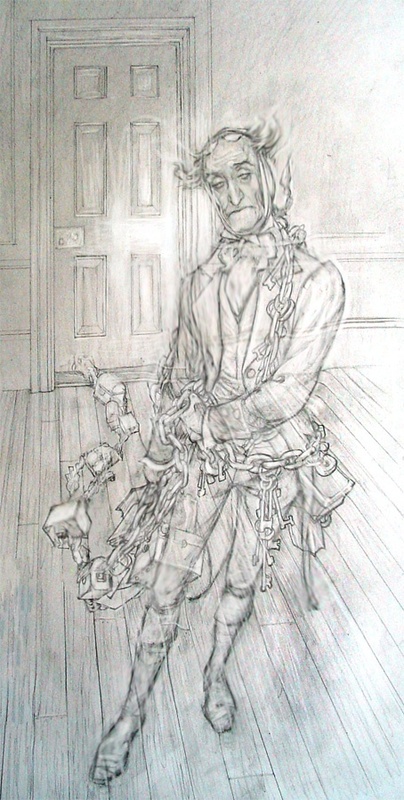 The line from A Christmas Carol that I remember most vividly is Marley’s: “I wear the chains I forged in life”. You have summoned a very old and powerful memory in me. One of my family of origins traditions was to put up the tree on the 24th and when all was done and the fire crackling (we lived mostly in snow country until 1956 when my father was transferred to Turkey in the Army, but that is another story), out came the old leather bound book of Charles Dickens’ works and my father would read the whole of “A Christmas Carol” to us. When we were done it was time for bed and the visions of sugar plums etc. I heartily say, Hear, Hear to putting Dickens back in Christmas as the perfect picture of the kind of charity that the Lord speaks of is displayed. Scrooge did not open a poor house soup kitchen, set off the evangelize the world or any other BIG project, he started small. He dealt with the nearest neighbors he had and helped the family of Bob Cratchett, he devoted employee who had suffered long to bring in wealth to Scrooge. As the action is small, it is within the reach of all. No one has an excuse for not doing something small like Scrooge. Thank you for reminding of those days and a lesson from a story that well over a half a century later still informs my heart. Thank you for this, Fr. Stephen! I always recommend reading, listening to or watching one of the many free and available versions of “A Christmas Carol” but my favorite version is to read the original story and ponder upon the truth therein. God bless you and your beautiful family always! Indeed. God bless us all! Everyone! On your recommendation I’m planning to watch the Carrey version. I’m not sure whether I’ve seen it or not. But I look forward to it! I’ve always enjoyed the George C. Scott version but never seen the Jim Carrey one. I may check it out this weekend as well! I would like to say how grateful I am to all those who contribute to this blog. I only read this blog and I am swept away with everyone’s personal journeys and struggles. I find myself weeping at times with your insights, Father, and when your words make me pause, I know the Lord is opening my heart to be healed. I very rarely share but I read this book called , ICON, this past year. Maybe this book has been referenced already. At first glance, it would look like a book for high school age students , but it tells a message that is so much more powerful and sobering. It is set in the future, maybe even the present or it has already transpired (at least in the former Communist countries ). It is a time when Christians are being murdered, Bibles destroyed and deprogramming the younger generation is a State priority. The conversations to persuade are subtle and demonic. The main character named Ephrosyne, has survived the massacre of her family and is forced to change her name to Hillary. Her grandparents are caring for her and have always been critical of her Orthodox faith. Without divulging the entire story, there is a scene where Ephrosyne has to see the school counselor for throwing a stone at a fellow student. Ephrosyne is actually trying to stop the student who is unknowingly humming Christmas songs , not realizing how much trouble she is getting herself into. The school counselor, who thinks Ephrosyne’s rage is due to her coping with the death of her parents and the approaching Christmas season, tells her this to downplay her feelings toward her religion. This book did not frighten me but it woke me up. I’ve read Father Arseny , (where in the introduction the statistics of 600 Bishops, 40,000 priests, 120, 000 monks and nuns were killed during Stalin’s dictatorship is recorded. Only 200 priests remained active in the Soviet Union following his death), Father George Calciu and Everyday Saints – many times over. Maybe it is because this is set in a nondescript time yet describes a world I am familiar with, thus making it a possible reality. It made me see how I take Christmas for granted. I actually have the blessing to Liturgize daily, yet on Christmas day I will miss Liturgy because it’s the only day my three children will be in. In my former life, I would think God would be disappointed with me or my soul would be damned because He was a legalistic God, so this is a big deal for me to finally realize that it is my choice and to reflect on how difficult it is to balance the world and my faith. That being said, after reading this book, I realized what is to come, (even though I may not be alive to see it ), will be a struggle unparalleled to what history has already recorded. Persecutions will come. My lesson is to pray and pray hard in my own little corner and throughout the day without ceasing for my family and mankind. Thank you again to ALL who contribute regularly. You give me strength! May this Christmas bring you all much joy. Irini, persecutions will come and perhaps in familiar forms but in one sense they are already here. The spirit of the age what Father calls Moderninty is already persecuting us. Within the Church herself the two headed monster of worldly accommodation and super-Orthodoxy which seem opposed to each other but are not are heavy on us all. The first persecutes those who object to idolatrous accomodations while the second (of the same spirit) persecutes those who are not like them in the perfection of their faith. They are in fact iconoclasts. One Denny’s the need for repentance while the other rejects mercy. Now is the time to celebrate the Incarnation of our Lord who did not come to help us or make the world a better place but to raise us from the dead. There are so many ways I am dead that I mistake for life. Fortunately, God is full of mercy and His mercy calls me to repent. What a beautiful comment and reflection. Your words touch deeply. I was captured by your experience in reading the book ICON. It is wonderful how the books we read, the movies we watch, the people we gather with, including at this blog, frequently speak to us in ways we never imagined…words spoken precisely at the right time. For sure, Christ is in our midst…including (especially) in those times of persecution. Thanks for your comment, Irini. God’s great blessings to you and yours. Enjoy your Christmas! Your comments continue to give me clarity, as they always do. I completely agree. He is and ever shall be. 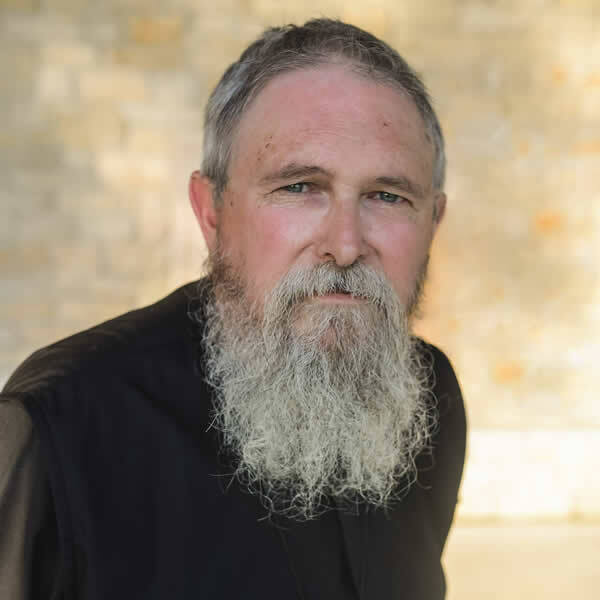 If the super-Orthodox you refer to are the zealots and old calendarists, then they are schismatic and not in the Church. Michael knows what he means. To me someone who is super-Orthodox is one very interested in the minutiae. They must cross themselves just so, do a metania just right, check each food label for latent lactose, those very interested in the small “t” traditions. It’s very easy to get caught up in these especially if one was fundamentalist before becoming Orthodox. If we look at the trees too closely we can forget we are in a forest and may miss mercy, kindness and love. By the way, we are not the only ones who might check labels. One of my teacher aides was Sikh. I once gave her a candy bar. She immediately looked at the label. Done with that, she returned it to me. Had the egg been unfertilized she would have eaten it, she said. This reminds me of something else. It seems that some are more charitable towards Buddhists or Sikhs than they might be towards Catholics or Evangelicals. I’m not sure why this is, but charity seems in order especially this time of year….by saying this I am not at all implying that all roads lead to God, just that we be kind to our friends in the faith. Blessed Nativity to all here! Nikolaos, I am not talking about the Old Calendarists or schismatics particularly. There is a brand of zealotry that finds much more main stream acceptance coming from folks who carry degrees and such but are quite legalistic and judgmental. They seem to lack much genuine experience. I actually respect the Old Calendarists. They should not be in the position they are. I was listening to a Father who said Christmas is the metropolis of the twelve Despotika feasts as it gives birth to them. I hope the birth of our Lord is in our hearts this year. Well I must humbly admit my favorite movie of Christmas is The Muppet Christmas Carol. The music is wonderful. Thankyou for these words father. Bless us all this wondrous Nativity season. Where I go for Christmas post-Liturgy, we usually end up viewing that famous documentary of the Griswold family (sorry Dn. Nicholas!). But perhaps I can suggest the Jim Carrey version of A Christmas Carol to everyone. Come to think of it, it may be interesting to ponder about movies for all of the 12 Great Feasts plus Pascha—movies for the big ones of Annunciation, Theophany, and Pentecost could be particularly helpful, if we can find/appropriate something. When I was brought into The Faith the kinds of things you mention—checking the labels, crossing oneself in a certain manner—were not thought of in such a bifurcated way where we could distinguish what was a “little t” from a “big T” tradition (if we even possess The Grace to do such a thing). That is not to say that there wasn’t an awareness of differences in liturgical practice from one culture to the next, but that liturgical practice was inextricably tied to Orthodox belief. And indeed, these kind of things were seen as very normal, and not legalistic. We were taught to do them out of love. And I think that is the key: as you said, “mercy, kindness, and love”. Precision is praxis is *not* the same thing as judgment, and I have actually seen the opposite case almost exclusively (minus “Internet Orthodoxy”, which I just don’t see when I go to actual parishes or even monasteries): I’m only in my 20s and thus haven’t experienced as much of most of the the commenters here (in particular some of the turmoil I read about in St. Seraphim Of Platina’s works during earlier decades), but pretty much every example I can think of relating to judgment in liturgical practice takes the form of someone criticizing precision…for being legalistic! That is interesting for 3 reasons (beyond the fact that that’s the opposite of what we’ve been told is the problem). First, this is not what Christ taught. When criticizing the Pharisees in Matthew 23:23, he *does not* criticize their precision or attention to small details. Actually, our Lord says that they “ought to have done” those things! It was not the adherence to “the minutiae” that was the problem, as you rightly pointed out, but the neglect of “the weightier matters”, including non-judgment. We have to express our love in an embodied way—we’re physical beings with bodies—and the ways you mentioned are simply part of how we do that. As St. John put it (1 John 5:3), “For this is the love of God, that we keep His commandments. And His commandments are not burdensome.”. So long as someone doesn’t get caught up in judgment and self-righteousness, I take it as a good sign that they’re interested in Christ, their Lover, and how to please Him. I would be overjoyed if I got (or heard) more questions about liturgical practice or, really, anything to do with living out The Faith. Second, a little reductio ad absurdum (which is one of my favorite techniques!) shows the problem with going too far in the opposite direction and not seriously trying to adhere to the letter, as given to each believer; thankfully, I don’t see full-blown antinomianism in the Orthodox world, but I think that is the trend in the world today. Take a sin like theft and the teaching of The Church against it (as well as all the civil laws). Would it be legalistic for someone to adhere to the command “Do not steal.” strictly? What if they were doing really well and keeping their hands on their own things—should they steal something (just something little!) to make sure they’re not being “too legalistic”? Or what if “their heart was in the wrong place”? Would the solution be for them to go ahead and steal until they got their heart right, because the danger of legalism is just so great and ever-looming? I think the answer to all these questions is quite obvious: it is not automatically legalistic to follow the law (even strictly), the solution for legalism isn’t breaking the law (in whole or in “part”), and having conflicted feelings about the law is not an excuse for lawlessness—it is rather a sign that something is wrong with the heart and that the heart—not the law (particularly The Law, in this case)—needs adjustment. Now I don’t want to say that we don’t have economia and variance and whatnot, but that those things do not (or are not supposed to) eliminate or even reduce our obedience to The Church. They are, rather, more full expressions of how *precisely* that obedience is lived out. This is part of the reason our canon law is so terse and oddly specific: we don’t need a comprehensive set of rules for every conceivable situation not because the letter doesn’t matter, but because we have revealed to us a very different Word behind it all and He Is The One we look to as Lawgiver—the canons are icons, not demigods. Put another way, economia is not used to give a human being more “individual freedom” or more “independence” apart from The Church, but rather makes sure that the person is living and following the letter (and Word!) given to them *properly within The Church*. Third, the criticism of legalism is often misused in a way that is itself legalistic (in the traditional sense, not the contemporary idea of “legalism”, which has little to do with legalism in The Scriptures but is I think connected strongly to fear and shame). If we look at St. Paul’s writing, in particular, contrasting Grace and The Law, the issue is not that The Law is bad—it just can’t save—but that the Jews believed they could attain salvation through its observance. We know that salvation is already bestowed upon all through Christ’s Pascha. But if someone believes that there is such a thing as fasting or crossing themselves or anything else that is “good enough” or merely “within the rules”, that is a cause for concern, because it can indicate that the focus is not on Christ and wanting to serve Him maximally, but that the person may believe they are attaining something by observance of the commands. (This, actually, is a prime example of where economia—which doesn’t mean “loosening” or “lightening”, as many many suppose—can be applied: the rules can be clarified and deepened (even made more strict) to bring the person back into the Mystery Of Christ, so they realize they’re serving Him and that the rules are designed for this purpose, not so they can achieve something of their own power.) Thus, when there is a [shaming!] judgment of someone for being “too legalistic”, any underlying subtext of “that tradition is excessive and is not necessary to ‘meet the minimum'” is, in fact, legalism! It is telling how selectively this criticism is used. For instance, if July 4th (for Americans) falls on a Wednesday or Friday, there may be criticism directed at keeping the fast as opposed to “baptizing the culture” or “being gracious” or some other argument (and those might not be entirely mistaken, but that is another topic). Yet where are the hordes of people saying that keeping Independence Day on every single July 4th without fail—without question or regard to the other events of the world, one’s family, one’s health, and The Church—is legalistic? That is *very* suspect to me. So I like your thoughts about how we view faithfulness depending on context. If it is an “Eastern religion” it is “mystical” and ok but if someone from a Western background is faithful it somehow can’t be mystical, but is often labeled as legalism. That is not to say that legalism isn’t a danger—it is—but that what we label as legalism often isn’t. Indeed, such accusations themselves are often a tool in the hands of “the smashers”, to hearken back to an older article by Fr. Stephen. I hope we can be kind to all our friends—both the more precision-oriented (where you’ll usually see me trudging around!) and those fighting battles in other areas of their faith—this season, and every season. Thanks Dean, and a blessed Nativity to you as well! I think it’s incorrect to think about a problem as being one of too precise or too imprecise. The real key, and this accord with Our Lord’s teachings, is the inner reality of what is being done. I daresay, if we really understood what is means to make the sign of the Cross, and what great power there is in it, and could perceive the sweet reality of that invincible weapon of peace, we would never cease to cross ourselves. It is also true, that if we truly perceived the inward reality of any of the outward things we do, or do not do, we would never judge another. For the inward reality of all Christian discipline is Christ Himself. In the sweetness of His presence, His kindness and mercy forgives everyone for everything. Thank you too. Yes, I can be judgmental myself. Not always pretty to see ourselves this way. I will definitely look through your website. Pardon me, but I’m a bit blown away…and I don’t mean put the spotlight on you and cause unease….but you are only in your 20’s???!!!! You’re kidding, right?! I’m amazed because you speak like an elder. Your ability to expound on the issues we address here has been a blessing. God has given you quite the gift! Blessed Nativity to all! And a blessed 2018! We are still waiting for our royalty checks. They not only used our name but they used the plot line for any family vacation we have. This is not just in my nuclear family but also in my very distant cousins. Joseph, you have a website? May we have a link? If you don’t want to post it here, may Fr. Stephen send it to me? Thank you for your insightful comment. Father, thank you for always piercing through the details to the “one thing needful”. As a fellow ADD and shame sufferer, I appreciate it so much. When I’m able to focus on loving Him, as St. Porphyrios directs, as the key to my ascesis, I find things are very much as Joseph describes. Glory to God for all Things. I was thinking that in Dickens version of Christmas the celebration does not really start until Christmas day. Everything leading up to that for Scrooge is a period of repentance. Sound familiar? It is tough in this world to keep an Orthodox Christmas or even a Dickensian one because the celebration starts long before the birth and stops dead in its tracks after Christmas day. Just when the feasting should begin. The time leading up to the birth is so full of anticipation, longing and even sorrow for our sins (which includes the need to care for others), it is all but blotted out by the worldly “celebration” . At least for me. Unfortunately, much the same thing happens at my parish. There is no feast in the feast. Makes the fast even more difficult for me. Michael, hearing you loud & clear and sharing that experience. I especially don’t like the “dead in its tracks” part! Paula, no, for some reason it’s not highlighted for me. In anticipation, blessed Feast to all! Ebenizer Scrooge’s heart melted when he saw the suffering of those he had directly and indirectly harmed with his self absorption. Unlike the rich man of the parable who asks for his brothers to be warned , he gets a second chance: much more than most of us afford the cold, sinful and strayed brothers and sisters, sometimes literally our own siblings. When Scrooge enters his nephew’s house he comes cap in hand; like a wealthier but equally distraught prodigal son. He makes amends, he seeks forgiveness, he multiplies fourfold his donation to the poor like the tax collector. The references to the scriptures appear everywhere. Your post was a graphic reminder that as Christians we cannot be anything less than forgiving, generous, self emptying and forever committed to the love for the plisíon. As I gradually become the patriarch of my family, all of whom except one are now Orthodox Christians, the pre-Nativity Christmas party invites have waned, and the fast has gotten easier and more meaningful in that sense. But I do agree. What is a fast (which is a communal act) without an equally communal feast? Perhaps it is the American tradition of being with family at Christmas that makes it so, but I truly wish it were otherwise. It takes away something of the fullness of the joy of the Incarnation, as well as other great feasts when we fast but do not feast together. It is like Lent without the Pascal Feast that every parish I know observes together with joy and even gusto. And although it surely applies to adults as well, children especially find meaning and even a certain joy in the fast when they anticipate the joy they have known in the feast. I continue, as pleasantly and enthusiastically as possible, to greet people with “Merry Christmas,” until Theophany. It brings puzzled looks, sometimes looks of recognition with a smile. Just be like Scrooge who kept the day as good as any…every day. I find it interesting to note that in chastising the “Super” Orthodox for not showing mercy, we’re doing the exact same thing (not showing them much mercy). True, but I think we do it to beat that demon in ourselves as much as we are beating another. I think it is collective guilt that makes us react this way.